1Health Research Center, Life Style Institute, Baqiyatallah University of Medical Sciences, Tehran, Iran. Introduction:Military personnel need to use nutritional supplements to increase physical and mental efficiency and protect against occupational injuries. However, Information is limited about the effectiveness and efficiency of nutritional supplements related to military personnel needs. The aim of this study is to review the studies in the field of nutritional supplements required for the military personnel. Methods: In this review study, articles related to nutritional supplements needed to protect against intense noise, improve trauma and enhance physical and mental function in military personnel were reviewed. The articles were extracted from the databases of PubMed, Scopus, Web of Sciences and Persian databases as the SID and Magiran between 1993 and 2018. Results:The results of the review showed that supplementation of magnesium and vitamin B12 to protect against abnormal sounds, supplementation of glutamine and omega-3 in trauma, supplementation of beta-alanine in physical activity and caffeine in mental function can be beneficial. 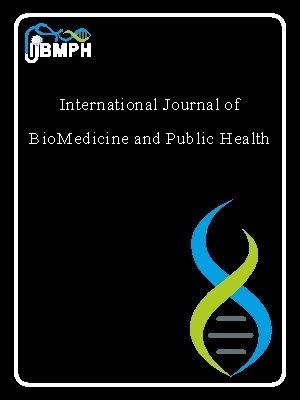 Conclusion: Nutritional supplements can be useful for military personnel from different aspects. However, the supplements discussed in this article only cover a small part of the supplements required by the military. In addition, although evidence suggests the potential benefits of nutritional supplements to military personnel, but this subject is still controversial and requires further studies. 2.Ashtary-Larky D, Lamuchi-Deli N, Milajerdi A, Bakhtiar Salehi M, Alipour M, Kooti W, et al. Inflammatory and Biochemical Biomarkers in Response to High Intensity Resistance Training in Trained and Untrained Men. Asian J Sports Med. 2017; 8(2):e13739 doi:10.5812/asjsm.13739. 3. Barboza SD, Joseph C, Nauta J, Van Mechelen W, Verhagen E. Injuries in Field Hockey Players: A Systematic Review. Sports Med. 2018; 48(4):849-66. 4. Gleeson M, Nieman DC, Pedersen BK. Exercise, nutrition and immune function. J Sports Sci. 2004; 22(1):115-25. 6. Rhodes K, Braakhuis A. Performance and Side Effects of Supplementation with N-Acetylcysteine: A Systematic Review and Meta-Analysis. Sports Med. 2017; 47(8):1619-36. 12. Cevette MJ, Vormann J, Franz K. Magnesium and hearing. J Am Acad Audiol. 2003; 14 (4): 202–212. 14. Quaranta A, Scaringi A, Bartoli R, Margarito MA, Quaranta N. The effects of 'supra-physiological' vitamin B12 administration on temporary threshold shift. Int J Audiol. 2004; 43:162–165. 15. Rahmani R, Mousavi Tabar SY, Karamali M. Epidemiology of trauma in new soldiers during a military training period in one Sepaah training camp, 2012. J Nurse Phys War.2012;19(1):5-8. 18. Norouzi Javidan A, Sabour H, Latifi S, Abrishamkar M, Soltani Z, Shidfar F, et al. Does consumption of polyunsaturated fatty acids influence on neurorehabilitation in traumatic spinal cord-injured individuals? A double-blinded clinical trial. Spinal Cord. 2014; 52(5):378-82. 20. Weimann A, Bastian L, Bischoff WE, Grotz M, Hansel M, Lotz J, et al. Influence of arginine, omega-3 fatty acids and nucleotide-supplemented enteral support on systemic inflammatory response syndrome and multiple organ failure in patients after severe trauma. Nutr J. 1998; 14(2):165-72. 21. Chuntrasakul C, Siltham S, Sarasombath S, Sittapairochana C, Leowattana W, Chockvivatanavanit S, et al. Comparison of a immunonutrition formula enriched arginine, glutamine and omega-3 fatty acid, with a currently high-enriched enteral nutrition for trauma patients. J Med Assoc Thai. 2003; 86(6):552-61. 23. Kibor DK, Nyaim OE, Wanjeri K. Effects of enteral glutamine supplementation on reduction of infection in adult patients with severe burns. East Afr Med J. 2014 Jan; 91(1):33-6. 31. Hoffman JR, Landau G, Stout JR, Hoffman MW, Shavit N, Rosen P, et al. β-Alanine ingestion increases muscle carnosine content and combat specific performance in soldiers. Amino Acids. 2015; 47(3):627-36. 35. Tharion WJ, Shukitt-Hale B, Lieberman HR. Caffeine effects on marksmanship during high-stress military training with 72-hour sleep deprivation. Aviat Space Environ Med. 2003; 74(4):309-14. 36. Lieberman HR, Tharion WJ, Shukitt-Hale B, Speckman KL, Tulley R. Effects of caffeine, sleep loss, and stress on cognitive performance and mood during U.S. Navy SEAL training. Psychopharmacol. 2002; 164(3):250-61. 37. Kamimori GH, McLellan TM, Tate CM, Voss DM, Niro P, Lieberman HR. Caffeine improves reaction time, vigilance and logical reasoning during extended periods with restricted opportunities for sleep. Psychopharmacol. 2015; 232(12):2031-42. 39. Salicio VM, Fett CA, Salicio MA, Brandão CF, Stoppiglia LF, Fett WC, Botelho C. The effect of caffeine supplementation on trained individuals subjected to maximal treadmill test. Afr J Tradit Complemen Alternat Med. 2017; 14(1):16-23. 44. Guo GH, Deng ZY, Wang YX, Xing JJ, Peng Y, Li GH. Effects of glutamine enriched enteral feeding on immunoregulation in burn patients. Zhonghua Shao Shang Za Zhi. 2007; 23(6):406-8.